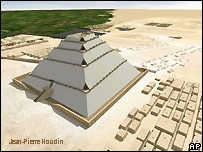 Egypt Khufu Cheops Pyramid Construction Jean-Pierre Houdin, a French Architect presents high tech modeling of his theory of construction of Khufu, Cheops, Kheops. 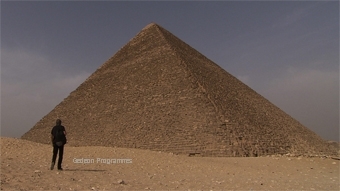 Over eight years have now passed since Jean-Pierre Houdin and his devoted wife ‘Bulle Plexiglass’ (Michelle) fused their life’s equity into a passionate architectural affair with the Great Pyramid, located on the Giza Plateau in Egypt; “A ramp theory” - an internal one; enclosed; continually winding its way up to the apex of the Great Pyramid by means of turning 90 degrees corners; encasing workman hauling blocks of stones weighing tons; using rope, cranes, sleds, scaffolds and any other means by which a hefty stone could be maneuvered; builders hollaring and lots of sweat. 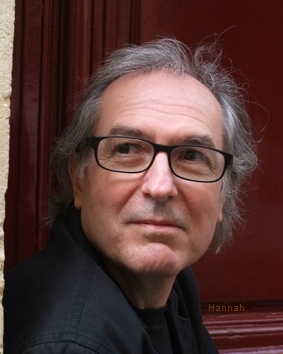 The energy to create such an internal ramp can be measured and defined if calculated in detail; Jean-Pierre has detailed his architectural renderings and has come up with some staggering factors. 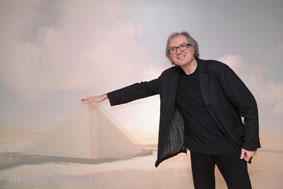 A modern high- tech French architect who had no previous yearnings of the Great Pyramid’s construction prior to his last decade of research has used his upscale mindset to configure how the Ancient Egyptian’s might have constructed their most magnanimous feat of monumental structures. 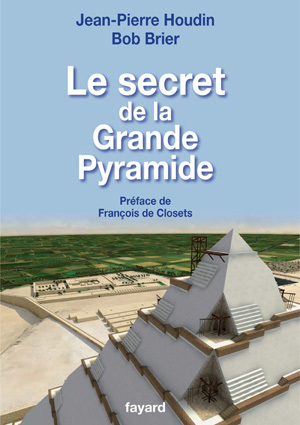 Jean-Pierre’s ability to create colorful graphics tends to lead the reader to view his internal ramp construction theory as a method to get his views across as opposed to reading and reasoning his renderings, calculations and thoughtful suggestions of e.g., “intercom systems” which he claims were built deep within the Great Pyramid’s Queen’s Chamber to accommodate the builders and crews. 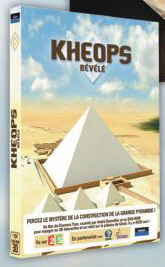 Jean-Pierre has published numerous books - his first being, ‘La Pyramide de Kheops,’ Publisher: Linteau - Parisone, which has sold out; his second one being ‘KHUFU - The secrets behind the building of The Great Pyramid,’ written in English and translated in various languages (as seen below) and thereafter more publications, power point presentations and documentaries have since been created and fashionably marketed. To the Houdins’ credit they do have some support/backing for their research, as well as a following of fans. 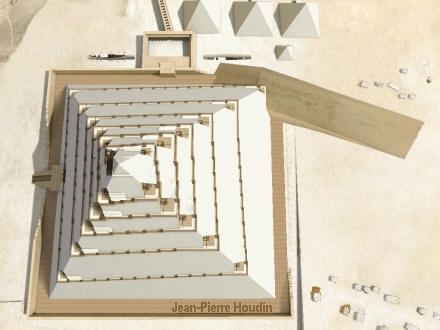 Jean-Pierre is competing with multiple other researchers’ differential ramp theories on the Great Pyramid; his forte is his zealous optimism coupled with high tech graphics that trigger the human mind into a digital maze of layers of ancient stones. How though will Jean-Pierre be able to prove his internal ramp theory? Click the link below - different options will prompt depending on your browser and computer settings. 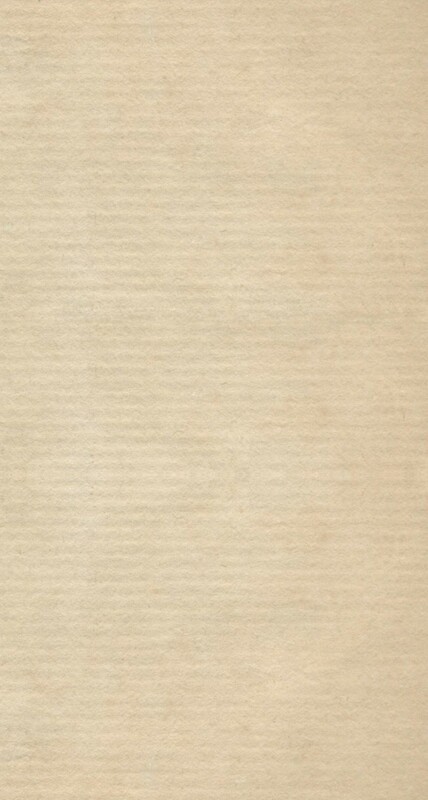 After the download, you may have to click the link again. Once the main page of the slide show comes up CLICK THE UPPER RIGHT HAND CORNER OF THE PAGE TO MOVE ON TO THE NEXT PAGE OF THE SLIDE SHOW - OR, JUST WAIT AND SEE IF IT MOVES ON TO THE NEXT SLIDE BY ITSELF. I HAVE CHECKED DIFFERENT METHODS AND IT DEPENDS ON YOUR SETTINGS. IT IS AN INNOVATIVE PRESENTATION AND VERY VISUAL - THERE IS SOME TEXT TO READ BOTH IN FRENCH AND ENGLISH. Click Pic to link to 26.5 MB Power Point Presentation as well - Please wait to load ! A DVD is on sale with, as a bonus, a DVD-R 3D animations with glasses (Europe only). NHK - Japanese Television aired their own primetime documentary on Jean-Pierre Houdin. 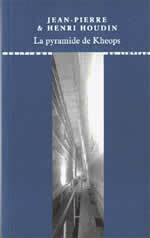 Archaeology Magazine: Update: Return to the Great Pyramid by Bob Brier: Note: "Bob Brier is a senior research fellow at the C.W. Post Campus of Long Island University and a contributing editor at Archaeology. 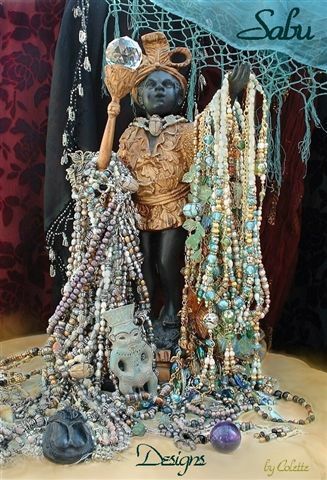 He is coauthor with Jean-Pierre Houdin of 'Secret of the Great Pyramid'."